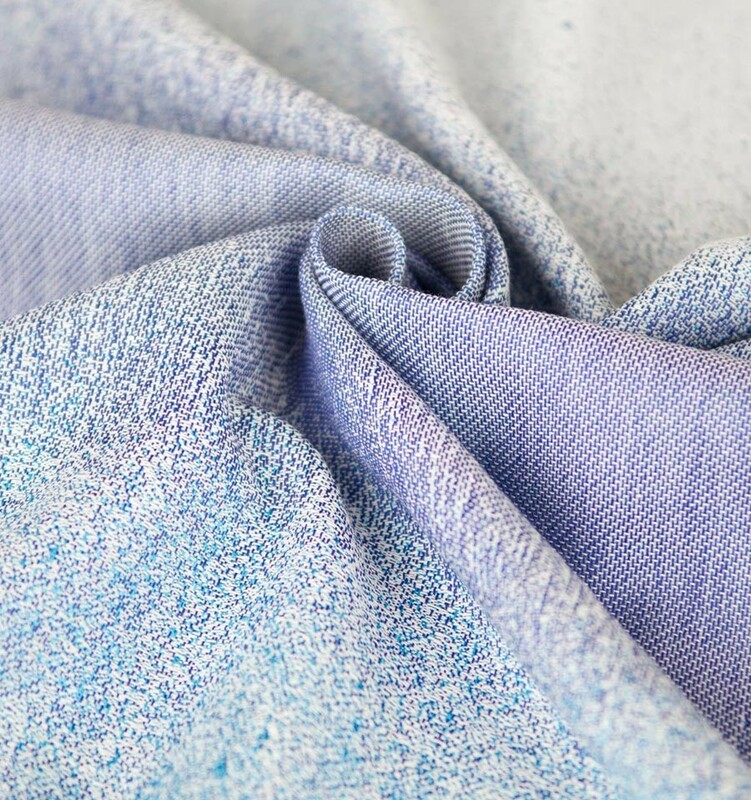 The Hoppediz Ring Sling is made of the original Hoppediz sling fabric and is worn over one shoulder. 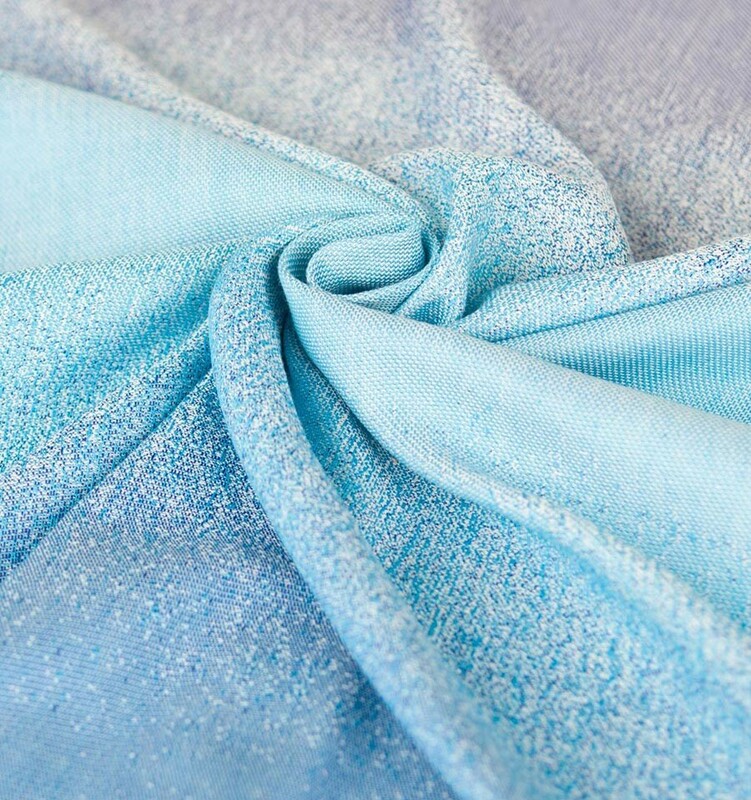 The Ring Sling is quick and easy to use since no special tying techniques are needed. You only have to pull the fabric through the two rings and to tighten it. The Hoppediz Ring Sling is easily adjustable so that one size fits all users. 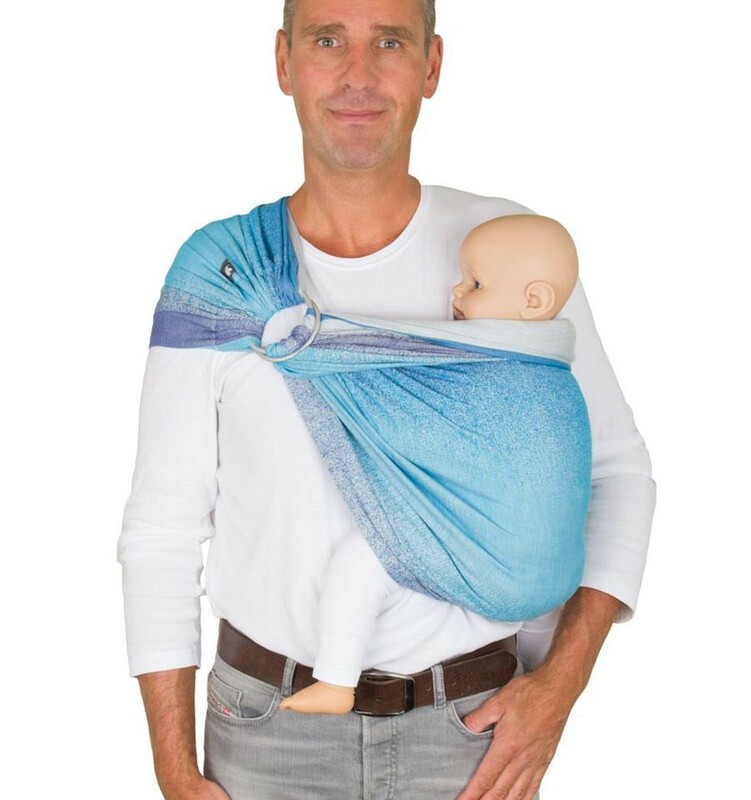 You always carry your child safe and ergonomically in the Hoppediz Ring Sling on the front or on the hip. 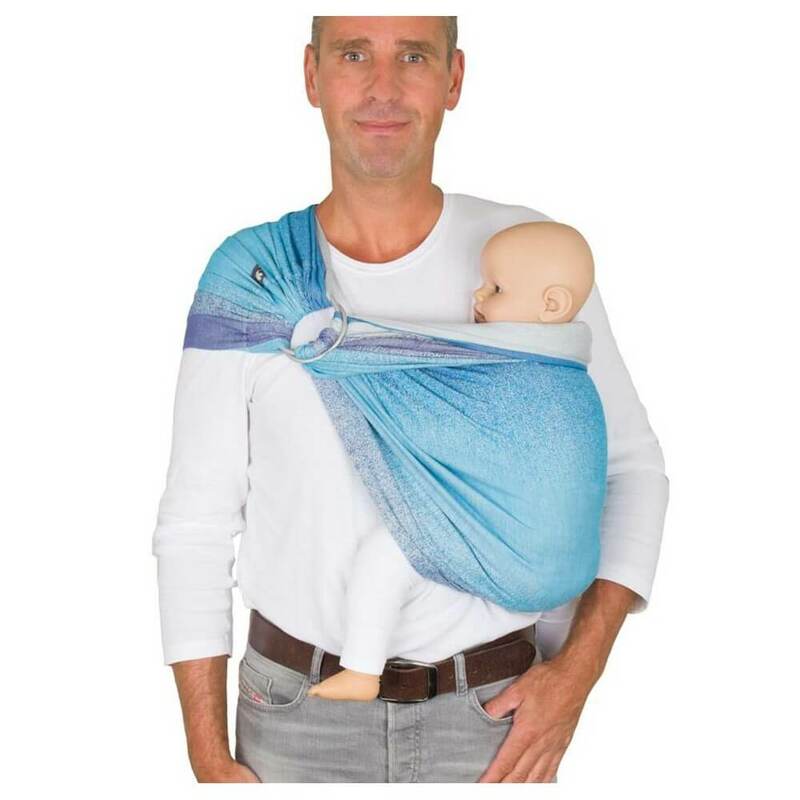 Experienced baby wearers can also use the Ring Sling for back carry. Small babies are carried straight up in the M-position with the legs in the Ring Sling and larger children with the legs out of the sling. 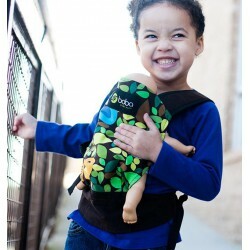 If you have a curious child then it is practical to carry him/her on your hip so that he/she can see more. 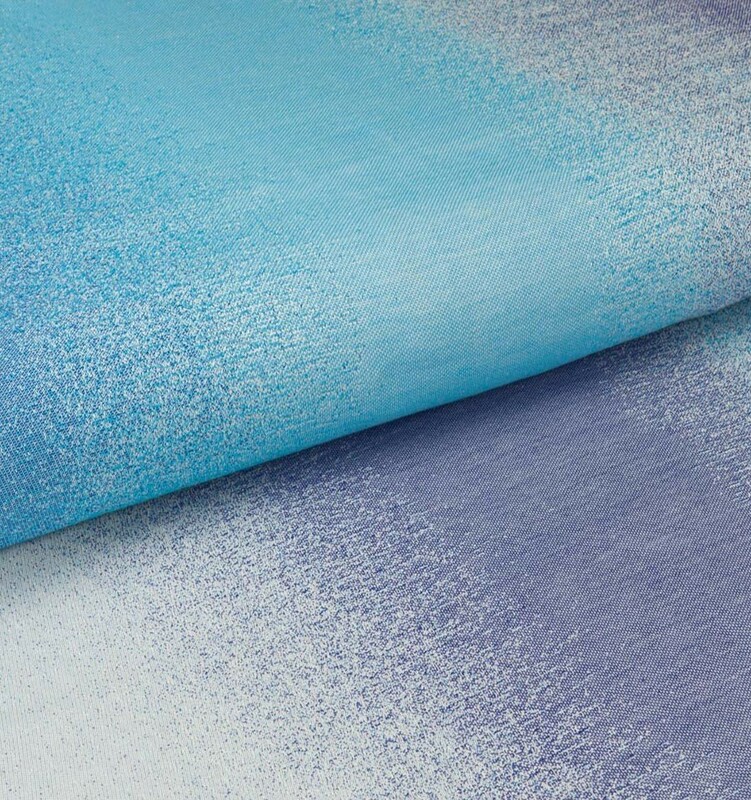 Since the Hoppediz Ring Sling is worn asymmetrically over one shoulder and the weight of your child is not distributed evenly, the Ring Sling is ideal for short distances or for use at home. 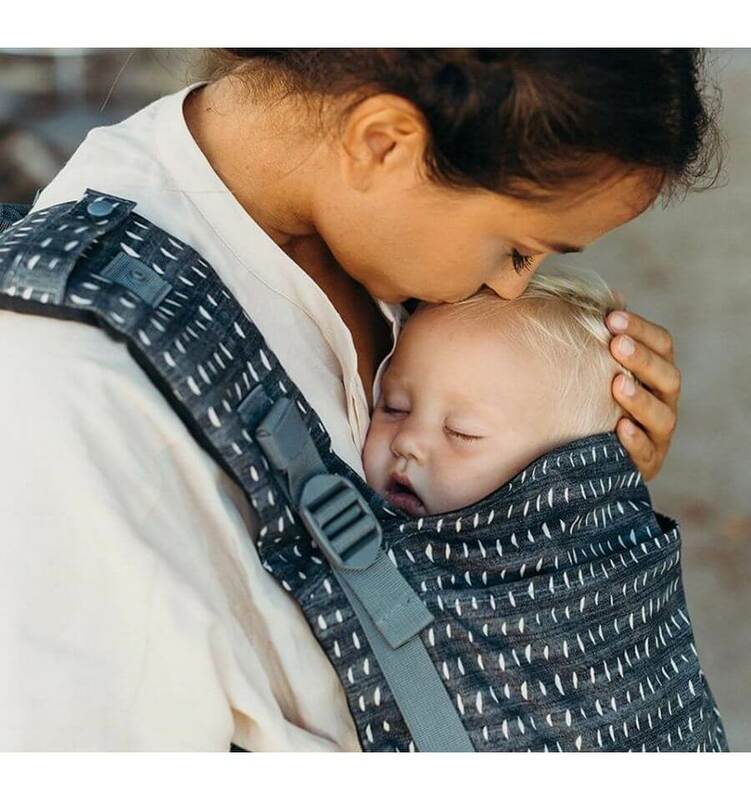 For baby wearing over long distances or for people with back problems we recommend an ergonomic baby carrier where the weight is evenly distributed over shoulders and hip. 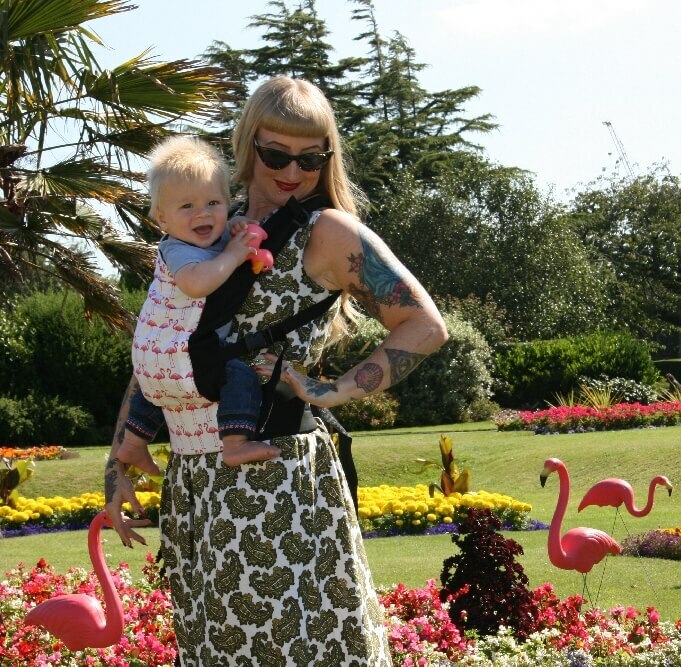 The Hoppediz Ring Sling is easy to fold and to store in your handbag. Like in the baby sling, breastfeeding is no problem in the Ring Sling.